The Society of Motor Manufacturers and Traders (SMMT) has confirmed that new car sales in the UK are bucking European trends – in October registrations rose by 12.1% to 151,252 compared with the same period last year. And for the 2012 as a whole, sales are up by 5.0%, forcing the Society to revise its prediction for the entire year, raising it to over two million. This will see the UK new car market heading back towards the levels it reached during the boom years of the mid-2000s, although 2012 is still around 12% behind 2007, the best-ever year for sales in the UK. According to the SMMT, the majority of growth in sales is down to increasing demand from private buyers, which would explain why the largest gains have been in the mini segment, with growth of 52%, and a 5.8% rise in supermini sales – the clearest indicator yet that buyers are downsizing in response to rising fuel costs. 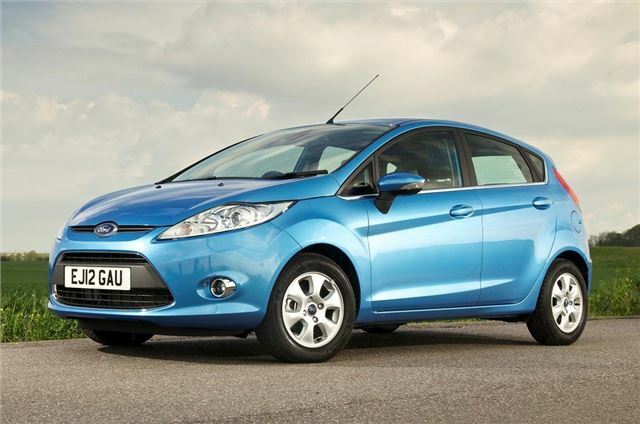 Once again, the Ford Fiesta topped the charts in October, maintaining its position as the UK's best-selling car throughout 2012, with the Vauxhall Corsa coming in a distant second. The changing fortunes of manufacturers between 2011 and 2012. Here are the percentage gains and losses for all manufacturers that posted more than 1000 sales in the period from January-October. Chrysler's dramatic rise to over 3000 sales can be attributed to the arrival of the rebranded Lancias, most notably the Ypsilon supermini. Although Daihatsu and Saab topped the list of 'losers' with a 100% and 95% drops respectively (dipping under the 1000 sold cut-off), this is to be expected given their extinction in the UK. However, Renault's horrifying loss of volume reflects the reduction in the models offered in the UK, and the extensive dealer closures. The arrival of Dacia on these shores can't come a moment too soon to bolster Renault's flagging dealer network. The big question is - will Dacia end up out-selling its parent company?